Sleep deprivation from online gambling addiction is becoming a serious problem for both teens and adults. If you or someone you know is not getting the sleep needed to due to an obsession with online gambling, this article can offer information on the subject and tips on how to get better. Sleep deprivation occurs when you don't get the proper amount of sleep on a regular basis. It is estimated that tens of millions of adults are affected by sleep deprivation each year. At one point, sleep deprivation was commonly used as a form of torture. Prisoners about to be interrogated were kept awake for days at a time and then questioned relentlessly. This was thought to be very effective, as the body and mind eventually breaks down after a lack of sleep. Sleep deprivation most often occurs as a result of stress or other sleep disorders, but an increasing number of people are experiencing sleep deprivation from online gambling addiction. An online gambling addiction is similar to a regular gambling addiction, but is thought to be much more dangerous because it is a solitary activity that can be engaged in at any time of the day from the comfort of one's own home. The growing number of online gambling sites has helped to contribute to the number or people who suffer from an online gambling addiction. It is all too easy for someone who has this emotional problem to log onto their computer day or night. The result is that some gambling addicts stay up all night long and deprive themselves of the sleep they so desperately need. What must be understood about this form of addiction is that it is not a weakness. Online gambling addiction is a persistent need to gamble that cannot be reasonably controlled. If you think that you may be feeling the effects of sleep deprivation from online gambling addiction or know someone else who might be, it is very important that you learn to recognize the signs of these problems and get help immediately. If you or someone you know is getting less that five hours of sleep every night because of a gambling addiction, there is a serious problem. 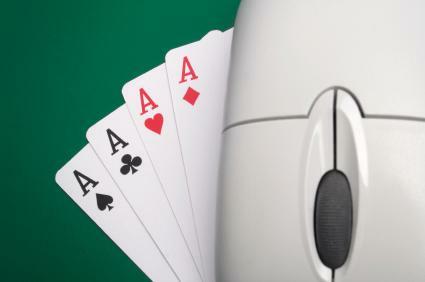 An online gambling addiction can be difficult to control and recovery will take time. Fortunately, there is help available. There have been many books written on the subject, and there are also organizations like Gamblers Anonymous that offer a support system to individuals who are trying to change their habits. If you seek out these resources and find that you are still having trouble with sleep deprivation from online gambling, you may want to consider installing online gambling site blocker software on your computer. This software will block you from gambling sites and act as a safety net in case you fall off the wagon.